Breakfast: It's not just for mornings anymore. A good breakfast is important, sure. But a great dinner can start with breakfast, too, with recipes like these cheesy enchiladas, crispy pancetta avocado toasts, and even a breakfast pizza. Related: See our collection of breakfast and brunch recipes. "The combination of flavors will wow you," says bd.weld. "If you don't have pancetta or prosciutto just use bacon or thin sliced black forest ham." Keep the ingredients on hand for this fried rice and you'll always have a quick go-to on your busiest weeknight. Cook's tip: The best fried rice starts with day-old cooked rice. Check out more tips to make the best fried rice. "A hearty breakfast dish that includes hashbrowns, cheese, ham and diced green chilies rolled into flour tortillas," says MAMASPICE. Several reviewers added scrambled eggs and/or cooked sausage to the mix and loved them that way, too. Watch the video to see how to make them. Scrambled eggs, ham, cheese, and hollandaise sauce are baked on a crescent roll pizza crust for a quick and satisfying dinner. Home cook zonasun says, "This dish is delish! Only thing I would do different is to pre-bake the crust a bit before loading all the goodies on top. The edges were cooked but center was still a bit underdone." 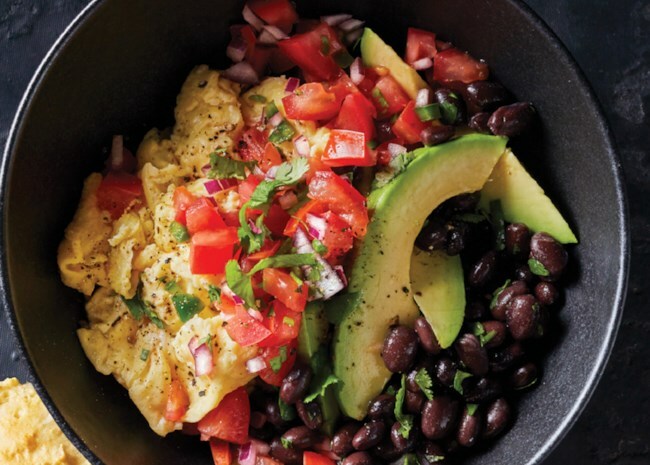 Scrambled eggs, canned black beans, avocado, and salsa come together quickly for this high-fiber breakfast-for-dinner idea. "Great textures, combination of items and taste," says pavisa. "My daughter especially liked it, as she is into all food that is Mexican or Southwestern." 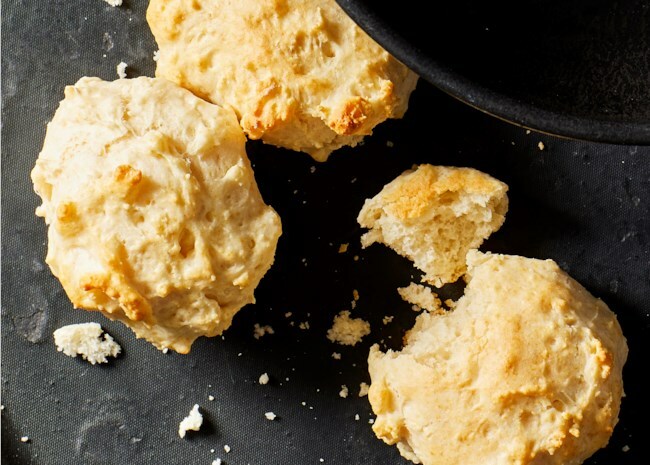 We're including these 3-ingredient biscuits as a quick base for biscuit breakfast sandwiches. Cook's tip: This recipe calls for self-rising flour, which is simply all-purpose flour with baking powder and salt added. Here's how to make your own self-rising flour.